These compliment the Yorkshire Spiders and are useful on any running or stillwater. Hackled and winged tyings are included imitating a wide range of aquatic insects, the winged patterns take fish feeding on drowned Duns and Emergers. 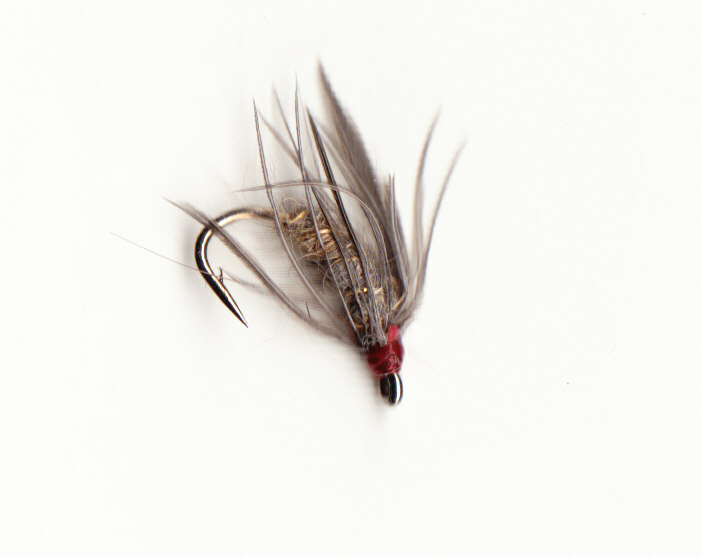 Tied on #14 & #16 hooks these are lightly dressed flies imitating common insects living in any fast river, they also suggest many stillwater flies so they are handy on the Loch when fish are rising. Subtle combination of silk, feather and fur, very suggestive of many hatching/drowned insects. 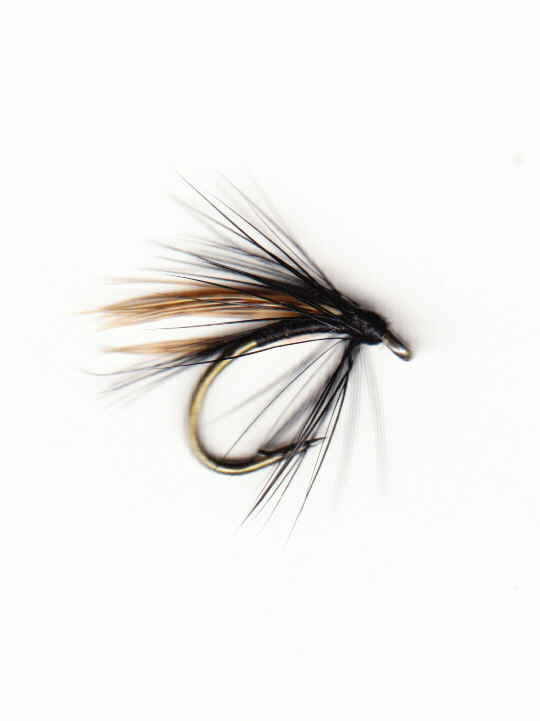 This flies dubbed body gives it more bulk and imitates caddis pupa well, works well in larger sizes as well. Useful in fast water or on the point as an anchor for a team of spiders. 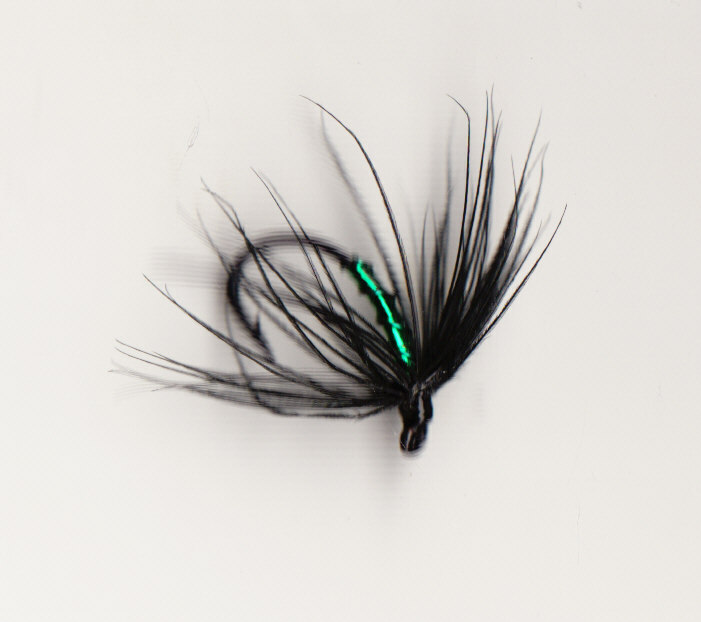 A darker tying to offer the fish. This small Caddis fly hatches in large numbers on some rivers (April/May), but it is another pattern that takes fish at anytime of the year. The segmented body of this fly mimics a natural Midge very well. 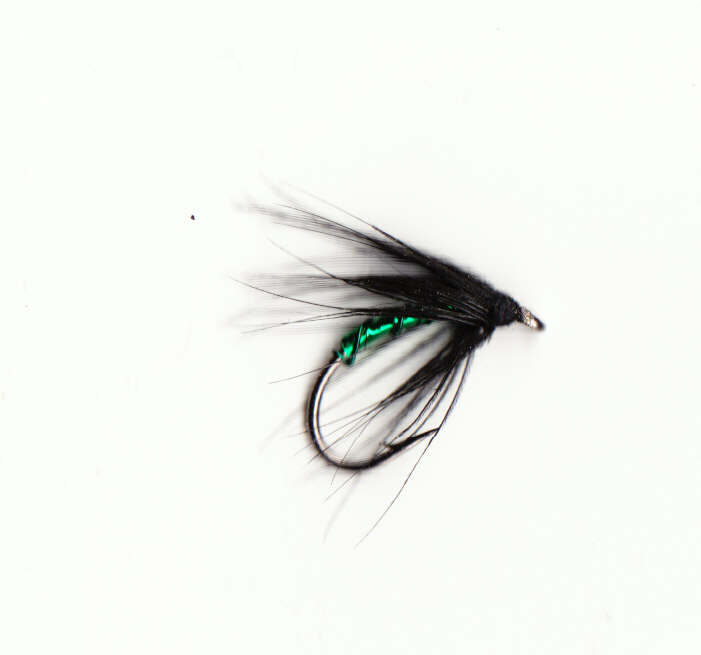 Tied with a wing this imitates a wide range of drowned and hatching Caddis flies, one of the best. Ever reliable on any water. 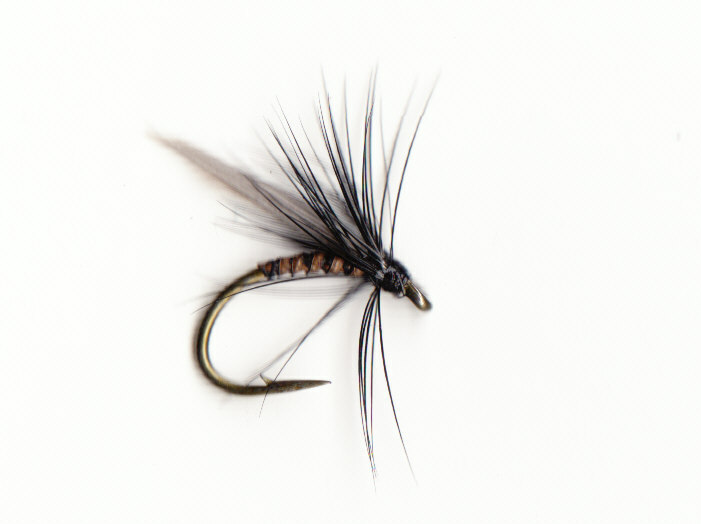 The pattern to use during a Large Dark Olive hatch in the spring. A bit of bulk to this fly, passes as a pupa or beetle. These are used on the river as the light goes or on stillwaters in teams of two or three. Some are mini lures, the extra flash can be useful when fishing for daytime sea trout, while others are general imitations of nothing in particular and everything in general. 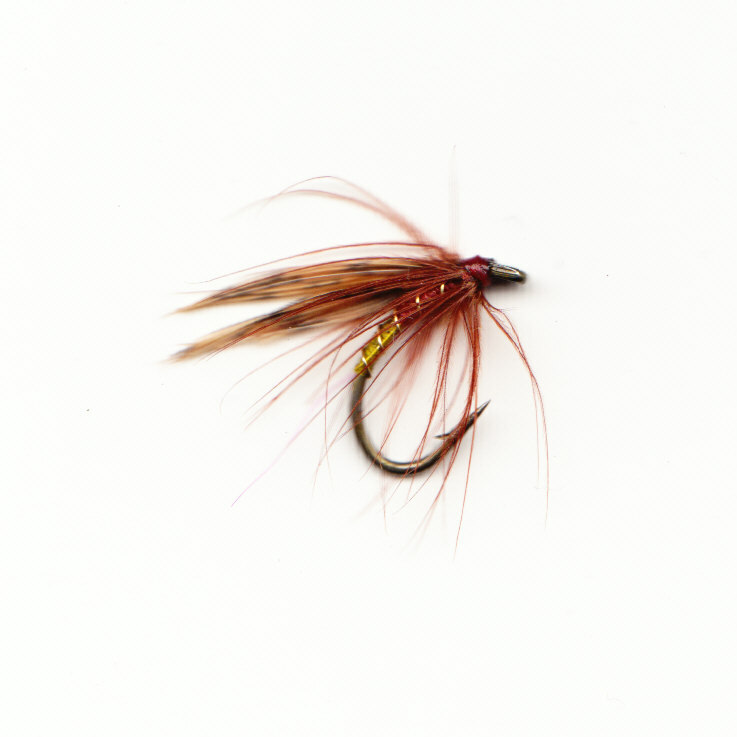 Tied in natural colours this fly attracts fish on any water. 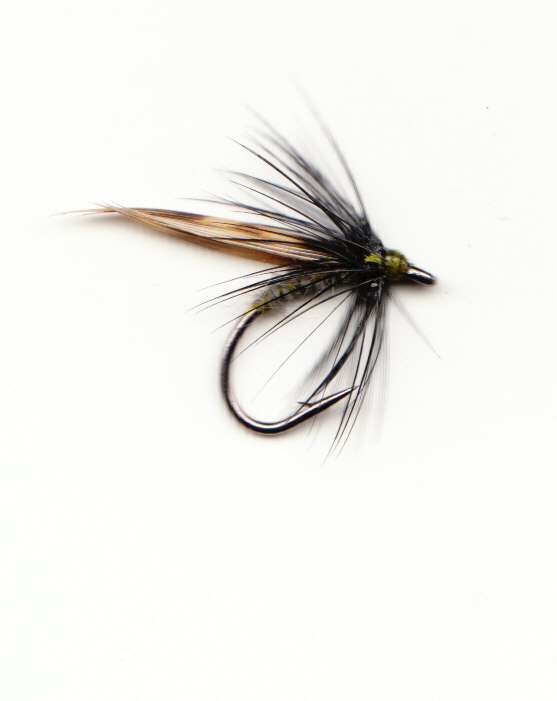 A useful fly to have in your box, fish deeper on the loch, anchor a team of spider or combat fast water. One of the best flies to put on the point with something bushy on the bob. Something bushy for the bob! Classic combination of red, black and silver. A barred teal feather features on many deadly flies. 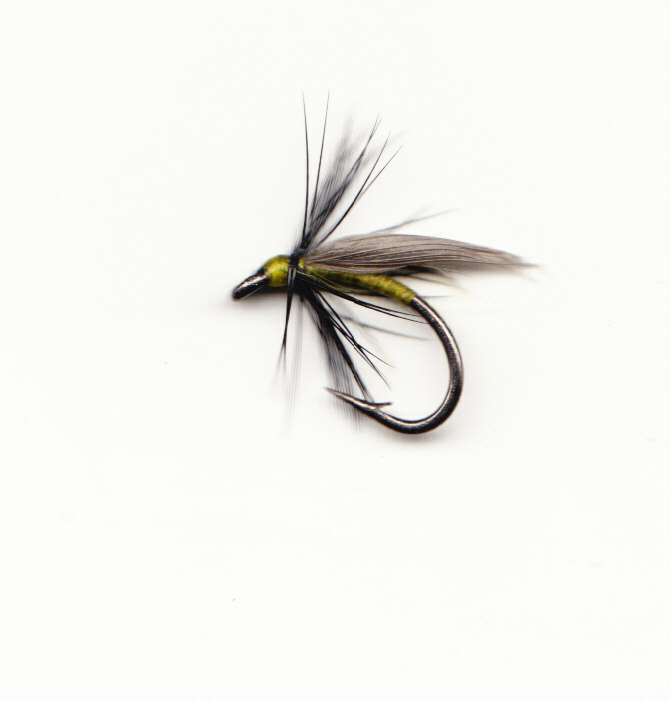 Dark coloured flies work well in clear or coloured water, tipped with silver.